Make your online reservation, travel by bus has never been so easy! Discover bus stops of the national line Modena-Florence. Compare prices, timetables and plan your trip on online ticketing system LinkAvel. Florence is the most famous Tuscan cities in the world. “Cradle of Renaissance”, the home of great and famous artists such as Michelangelo, Leonardo, Botticelli, Donatello, Dante, every year millions of people visit the major museums of the city, walk through its streets admiring the monuments, churches, palaces and landmarks. Thus, they discover the Duomo and Giotto’s Campanile, the Uffizi Gallery, the Ponte Vecchio, the San Lorenzo market and the Boboli Gardens. 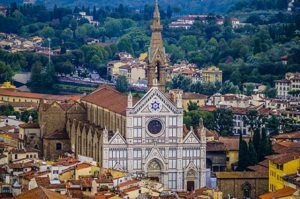 In addition to art, Florence is also the “capital” of good food: its cuisine is famous throughout the world for some dishes, such as the Florentine steak, ribollita, pappa al pomodoro, crostini with chicken livers, and many others. And what about the wines? The Uffizi Gallery has its origins in 1560, when Cosimo I de ‘Medici commissioned to Giorgio Vasari a project for the construction of a large building with two wings, “on the river and almost in the air”, intended to accommodate the administrative and judicial offices (Uffizi) of the Florentine State. 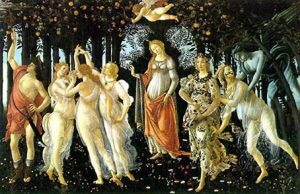 Nowadays, the Uffizi is one of the most prestigious Italian art galleries and the world, with assets of priceless works: the museum deserves to be visited in its entirety, but in order to appreciate all its works a whole day is not enough! There are masterpieces that you definitely cannot lose and, to avoid the long lines, we recommend to book your tickets online!